When Bob Wyatt was handed the keys to his first orange Schneider truck, he likely hopped in the cab, turned on the radio and cruised down the road to Tie a Yellow Ribbon ’Round the Ole Oak Tree and Bad, Bad Leroy Brown. No, Bob isn’t a big Tony Orlando buff or Jim Croce groupie; those were just the most popular tunes of the day … back in 1973. 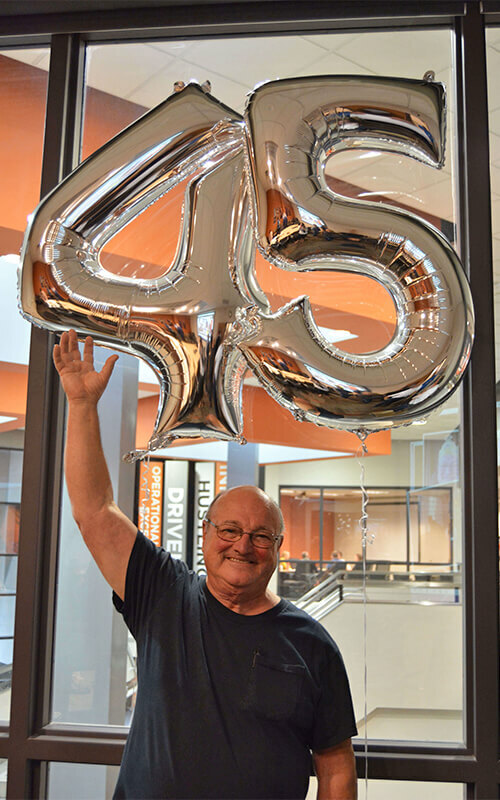 Do some quick math and you’ll easily realize Bob is a 46-year veteran of the Schneider fleet. But here’s something even more amazing: Every single one of his 5.4 million miles has been traveled safely and without a preventable accident. Every. Single. One. Bob got his first taste of life on the road when he tagged along on runs with his dad, a driver for Mayflower. He got his professional start in 1965 driving a race van for Carroll Shelby, an American racing and automotive legend. 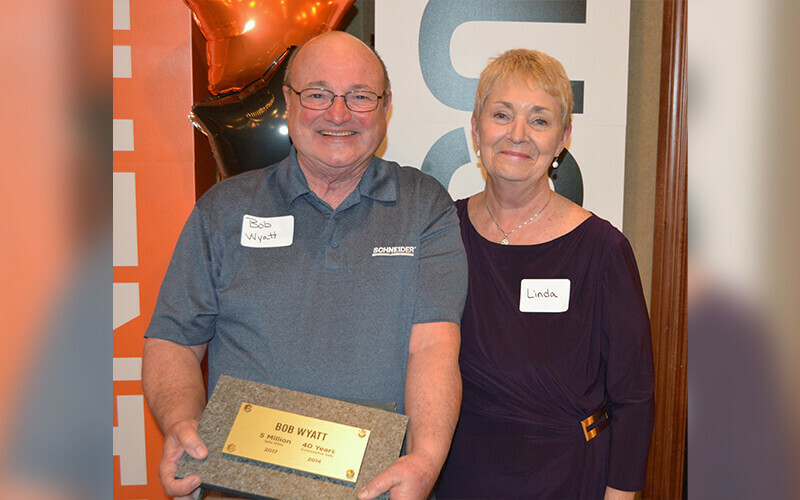 When Bob met and married his wife, Linda, his priorities shifted away from speed, and he started to look for work that offered security and stability. Bob’s next stop was driving locally for a cola company in his hometown of Springfield, Ill., but the miles didn’t deliver the kind of paycheck he wanted. Plus, he missed the road. Before long, he began to wonder what else might be out there. He didn’t wonder long. Soon, Bob was spending his days doing just what he hoped: criss-crossing the country and earning a good, honest living doing it. Though he’s had the chance to drive for other divisions of the company over the years, he chose to stick with over-the-road. “I just always wanted to run long,” he explained. How did this down-to-earth, no-bones-about-it guy with a dry sense of humor achieve the five-million-mile (plus!) mark? Speaking of being thankful, that is exactly how Schneider feels, knowing Bob has no plans to retire anytime soon. “I don’t know what I’d do with myself if I wasn’t on the road,” he said. 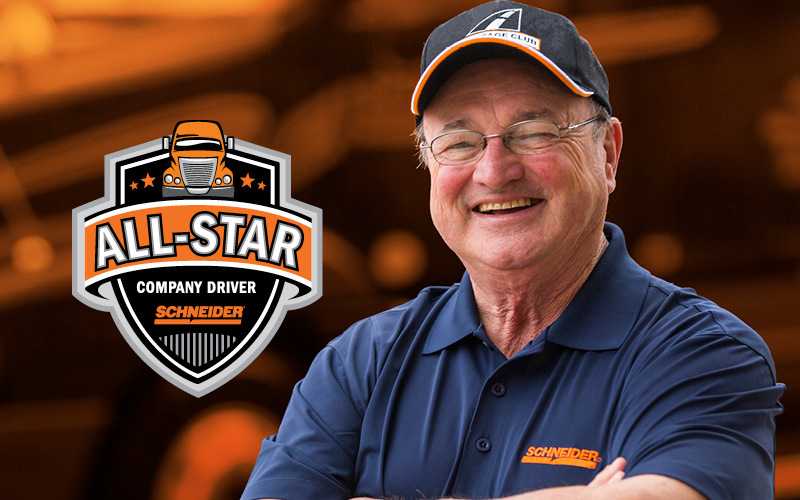 Bob makes the entire industry better—and safer—simply by being the driver and person he is. Apply to be a driver for Schneider and see where the road could take you.